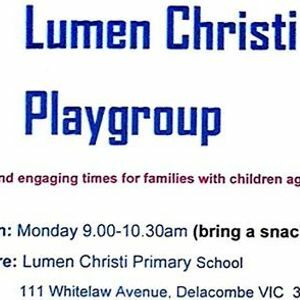 Lumen Christi Delacombe playgroup is a well recourced playgroup operating Mondays (during the school term) from 9am-10:30am in our multipurpose activity centre. 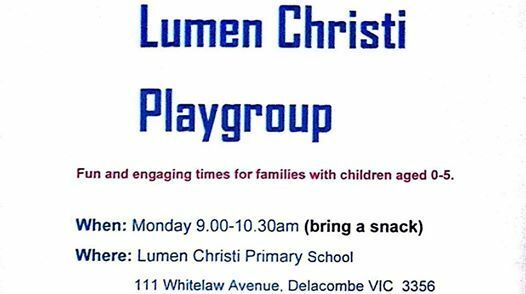 Open to all families within the community with children aged 0-5 years. Bring along a snack and gold coin donation. Free Event 2019 Walk-a-thon "Walk for the children who can't"